My goal is to spend as much time with my patients and educate and involve them on all aspects of the medical decision making process, knowing that each patient has unique desires and ambitions,” Dr. Didari says. “I find it rewarding to return them to the activities that make their lives satisfying. 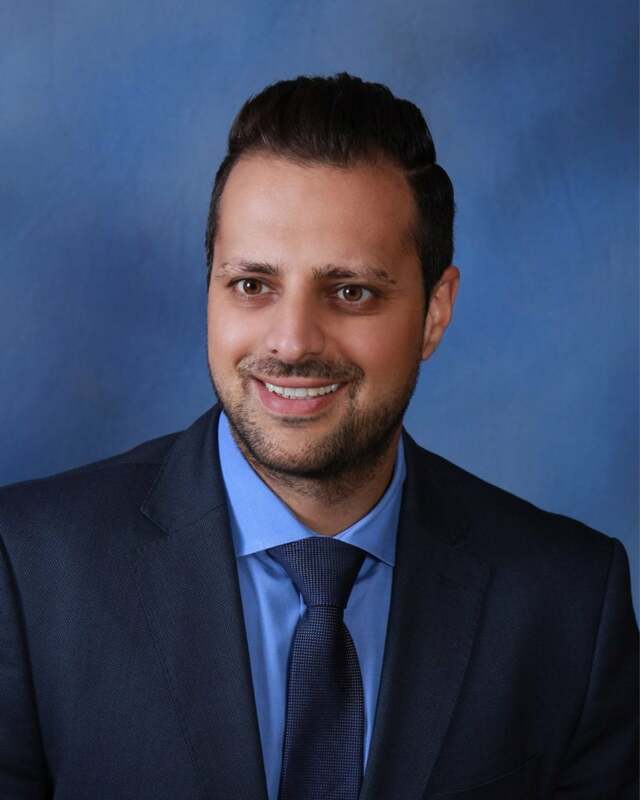 Respected for his compassionate, exceptional patient care and advanced surgical skills, Dr. Didari, co-owner of Empire Foot and Ankle Center, offers a wide variety of services in podiatric medicine and surgery. He graduated with a B.S. from University of California, Los Angeles (UCLA) while earning his D.P.M. degree from Western University of Health Sciences, inaugural class of 2013. Dr. Didari completed rigorous residency training, with the additional credential in Reconstructive Rearfoot/Ankle Surgery (PMSR/RRA) and a focus on all aspects of podiatry including academic, medical and surgical parts. Rotating through different healthcare facilities for months including Military Based Hospital (Camp Pendleton Naval Hospital), Limb Salvage Clinic (Valley Presbyterian Hospital), Wound Clinic (Sherman Oaks Hospital), Level one and two Trauma Facilities (Arrowhead and Riverside County Hospitals) and multiple local community hospitals (Pomona Valley, Chino Valley and Montclair Hospitals) has given Dr. Didari a vast array of experience to better prepare him for all types of patient care. Dr. Didari is also a clinical instructor at Western University of Health sciences working with medical students and residents. With a commitment to utilizing non-surgical or minimally invasive techniques whenever possible, Dr. Didari takes a multi-disciplinary approach to patient care bringing in experts in various fields of medicine to optimize patient outcomes. Dr. Didari’s interests include swimming, soccer and travel. He is a member of the American College of Foot and Ankle Surgeons.